Sling is a web-based staff scheduling and communication software for retailers and restaurants with shift-working employees. The software allows managers to assign shifts and tasks to employees across multiple work sites, using a single shared calendar. Sling is built around four central features: tasks, shifts, messages and newsfeed, and allows managers to coordinate all of their scheduling tasks on one platform. Managers can create shift schedules, manage shift trade and time-off requests; chat with employees and share photos, links and videos; post information and updates to a company newsfeed; and create and assign tasks to employees. Shift templates can be saved an reused any number of times, saving time for scheduling managers. Within the template, data can be filtered by date, position or department to find out the total number of employees assigned to a particular task or department. Employees can submit time-off and shift trade requests via the employee portal, where they're sent to the location manager for approval and re-assignment to other staff members where necessary. Users can create to-do lists and tasks, then assign these to a single employee or a group of employees. Users can set task timelines which generate automatic SMS or email reminders a few days before the deadline. Employees can send messages, work files, photos, videos and links to each other via Sling, as well as search for past conversations using keywords. Retail and restaurant outlets that have used Sling include Subway, Aveda, The UPS Store, Applebee’s and Securitas. Our schedule and our employees' availabilities are fluid. Sling! is able to keep up without even breaking a sweat. My employees love the mobile app, which can push reminders about scheduled shifts. I love that my employees show up on time, because Sling! can push reminders about scheduled shifts. I managed to get by before I discovered Sling!, but I honestly can't remember how. I'm able to spend so much more time doing the work now that I don't have to chase my employees down to get them scheduled to work.The mobile app is what makes this package great. My employees love the push notifications when new shifts are posted. We have a variable schedule and a student workforce. Our MO is to post available shifts when we need people to work. Sling! lets our students apply for as many or as few shifts as they like. We can then approve individuals to put our team for the day together based on the skills of those who have applied and the needs of the tasks at hand. The mobile app is what makes this package great. My employees love the push notifications when new shifts are posted. We have a variable schedule and a student workforce. Our MO is to post available shifts when we need people to work. Sling! lets our students apply for as many or as few shifts as they like. We can then approve individuals to put our team for the day together based on the skills of those who have applied and the needs of the tasks at hand. There is no view available that visually groups like time blocks into shifts. Our shifts don't follow a set schedule, but we often need more than one person to work the same time block on a given day. There are now several features to help you save time when scheduling things like this. For example, you can copy shifts to avoid having to enter all of the same details multiple times, and you can select several different positions when creating a shift, but once created, each person shows up as their own event on the schedule. If I've got a half dozen different people working for each of four different time blocks on a single day, the calendar starts to get a little overwhelming with 24 separate events represented. If there was a way to group like time blocks into shifts with multiple employees assigned, this example would be down to 4 separate events, which is much easier to quickly get your head around. GREAT for managing many employees with unusual/atypical Shifts. Very scaleable, efficiency improves. So many 'Pros'!! -- - supports multiple work sites/locations. - supports different employee roles/titles. - supports large (unlimited?) number of employees. - can 'deactivate' employees & then reinstate them at a later date (no need to delete the employee's entire profile). - There are even more 'Pros' that we haven't fully explored yet, such as employees communicating with each other through the app to arrange shift swaps, etc. So much potential!! I work at a college Math Learning Center where we provide additional assistance to students seeking extra math support. Having a scheduling app/software that can manage many employees with atypical/changing/unusual shifts is crucial!! We employ both full-time permanent staff and temporary students tutors and with our temporary staff we have a lot of turnover as students come-and-go. Thus we have changes to the schedule constantly. So for us, a dynamic system is a must. The Sling support staff is also very responsive and open to suggestions and ideas. Some of my suggestions have been incorporated, such as being able to included a 'break' duration for a shift which then is subtracted from the shift hour total. These changes have made Sling even more useful! I am so thrilled to have found this FREE scheduling web application. We don't have the budget to pay for a scheduling software/app, yet we needed a tool that could handle our very specific and complicated needs. We found it in Sling!! - Would like to be able to add more details about each employee, such as customized checkboxes for employee 'expertise'. (There is a 'notes' section for each employee profile, which is nice.) - Be able to make tags/notes for certain dates, such as 'holiday' or 'extended day' to remind the scheduler of different scheduling needs. - Have a shift-responsibilities designation option, such as 'Opener' or 'Closer' - Would like to be able to 'collapse' some of the hours from view and/or designate a viewing window that shows only when our center is open (must be unique by location). Though being able to schedule shifts beyond 'operating hours' is needed (set-up, take-down time) but many hours before and after our operating hours don't need to be displayed. - Would like there to be a way to designate general staff 'types' (i.e. permanent vs temporary) not just different employee position. A Permanent staff member had additional responsibilities and must be staffed at all times, so being able to look at the shifts of just Permanent staff would be beneficial. - More customizable options for the print-view. All these cons, if addressed, would just be icing on the cake. The app, as it is now, is completely functional and covers all the necessities and more! Very easy to use, lots of view options and adjustments, fairly clean interface, amazing features for free. Amazing that you can drag and drop, use keyboard shortcuts to copy shifts. UI is fairly full featured! Mobile apps are great, notifications are amazing. We have multiple managers using Sling, and one annoyance is that we can't see each other's unpublished shifts. We end up using each other's accounts to see and adjust shifts. The messaging app seems like it would work really well, but we already use another way to communicate (Slack, FB messenger, WhatsApp are all viable and free). Same goes with Tasks and Newsfeed. I would've preferred the Clock in/out as an included feature over Tasks, Messages, and Newsfeed. Beggers can't be choosers though! I tried to contact Sling for interfaces, but got no response. Would like to know some of the interfaces they've already developed to be in the Premium prices. Using Sling, we're able to correspond with our staff more effectively and schedule more efficiently. It keeps payroll costs in budget and keeps employees happy...No complaints!In my office, we have a different platform already in place for time tracking, but Sling was recommended to us as a scheduling service. It works great! At no cost, we can allow our employees to request hours, we can assign shifts, and we can communicate schedules to our staff. It's helped us to keep our payroll costs in check at no additional cost. If we had the opportunity to switch to Sling for actual time tracking as well, we'd probably consider it. In my office, we have a different platform already in place for time tracking, but Sling was recommended to us as a scheduling service. It works great! At no cost, we can allow our employees to request hours, we can assign shifts, and we can communicate schedules to our staff. It's helped us to keep our payroll costs in check at no additional cost. If we had the opportunity to switch to Sling for actual time tracking as well, we'd probably consider it. No cons. I like the features, the interface, and the pricing model. If there's any con at all, it's that Sling can give information so freely that it at times becomes redundant. My company uses the free version of Sling, and for something that is cost free it's really wonderful. It's easy to navigate, and the messaging system has come in handy for us when our main method of communication (Slack) is down. We've tried several other paid and unpaid employee scheduling programs, and Sling has been the best one by far. The only issue we have is that despite how many times we click "publish all future shifts", we still have to publish each new weeks shifts so that everyone can see. This is a very minor inconvenience though, as it's easy to quickly publish shifts. Sling is free to use and available for an unlimited number of employees. Sling also offers custom versions to large corporations. •	Managers can save and copy employee schedules from previous days or weeks, and create recurring shifts, rather than start from scratch with each one. •	Sling's drag and drop interface allows managers to simply drag an employee’s name on to a particular shift to assign it to them. •	Schedules and shift alerts can be pushed to employees' phones as notifications to remind them of upcoming shifts. •	Sling provides managers with an up-to-date view of employee availability and time-off requests helping them to avoid schedule conflicts and double-booking. •	Should a shift-assigned employee back out at the last moment, the software sends a notification alert to all employees in order to find a replacement. •	Sling helps location managers to create schedules that are in line with their defined labor budget, and avoid cost overrun. Below are some frequently asked questions for Sling. Q. What type of pricing plans does Sling offer? Q. Who are the typical users of Sling? Q. 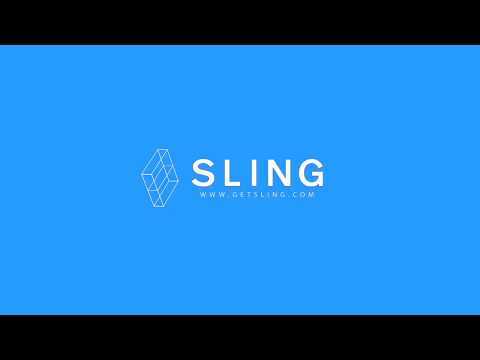 What languages does Sling support? Q. Does Sling support mobile devices? Q. Does Sling offer an API? Yes, Sling has an API available for use. Q. What other apps does Sling integrate with? Q. What level of support does Sling offer? Q. Which apps is Sling compared to most often?